The Short Version: International men looking for relationships with women from Eastern Europe often turn to Ukraine Brides Agency for help. The dating site offers numerous respectful and safe ways for commitment-minded singles to meet. Start a conversation with a simple chat, and work your way up to video dates and eventually an in-person meeting. Travel and language classes, among other things, are all handled in-house for your convenience, as Ukraine Brides Agency strives to make sure nothing gets in the way of you finding true love. Finding love can be difficult, and it can be particularly frustrating for hopeful romantics who aren’t having any luck. One of those romantics, Nadezhda, dreamed of one day meeting a nice, handsome, funny man who would understand and support her. After little success over the span of several years, she wondered if it would ever happen. To her delight, she found the man of her dreams, Blake, through Ukraine Brides Agency, a dating site that specializes in bringing international men and Eastern European women together. Even though they were thousands of miles apart at first, Nadezhda and Blake felt a strong connection as they messaged each other back and forth, and she has fond memories of the first time they met. Blake and Nadezhda’s love story began when they both joined Ukraine Brides Agency. The couple began meeting more often and getting to know each other better. It wasn’t long before they realized they wanted to be together for the long haul. During one trip to Mexico, Blake made it official and asked Nadezhda to marry him. She said it was the happiest day of her life. Ukraine Brides Agency is on a mission to connect men and women, like Blake and Nadezhda, in a reputable, respectable, fun, and affordable way. Many other couples have found love through the company. Pictures on the site show happy people completely in love, and that’s what the team at Ukraine Brides Agency believes everyone deserves. Ukraine Brides Agency Owner, Keith Gordon, and his team are committed to facilitating real love between American men and Ukrainian and Slavic women. Keith founded Ukraine Brides Agency because he knew the company could make a difference. He saw a void in the international dating industry industry and an opportunity to fill it with genuine, transparent experiences. 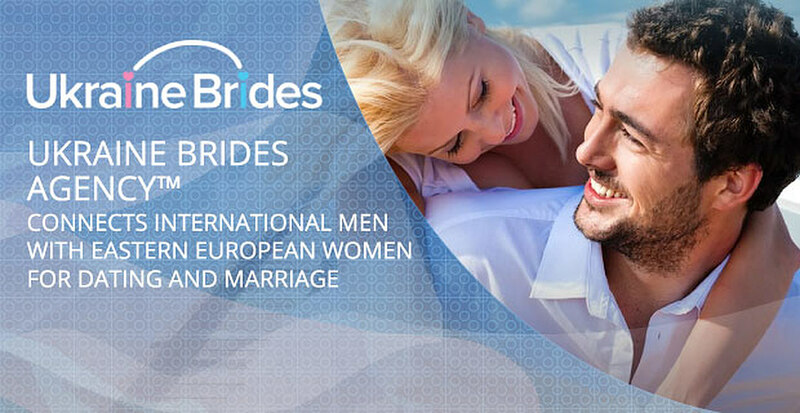 Ukraine Brides Agency helps men and women find the relationship of their dreams. The company tries to anticipate clients’ every need and maintain the highest level of support, comfort, and, most of all, security, which ensures everyone feels safe. Michael added that he believes the company will continue growing not only because of its dedication to clients but also through its commitment to connecting people any way it can in the digital age. After building a profile and searching the site, users can select other users whom they’d like to know more about. Getting to know someone in person can be hard, much less striking up a relationship with someone thousands of miles away. That’s why Ukraine Brides Agency offers several ways for men and women to interact with each other until they find someone special. Messaging is an easy way to begin a conversation and test compatibility. The site’s system is intuitive, and conversation threads are stored, so you always have a record of your messages. Users can talk a little about their interests or what they desire in a partner to see if they’re ready to take things to the next level. If users are ready to jump right into a real conversation, they can chat in real-time using Ukraine Brides Agency’s chat system, which has a built-in translator. Talk with women who are currently online or send requests to chat with those who aren’t. Just complete the request for a time that’s convenient for your schedule, and the site will confirm it once your request is accepted. Ukraine Brides Agency users can connect via message, live chat, and video. Michael told us about a few other perks that Ukraine Brides Agency has that users may not find on other sites. Ukraine Brides Agency also offers matchmaking services for those who prefer taking a more traditional route. Once you’ve found a special someone, you can continue video chatting with her. You can send her a gift through the Ukraine Brides Agency, too, to make her feel appreciated. The agency is equipped to help you bridge the gap between you and your special someone — both physically and culturally. You can opt to take Russian lessons or gift your Slavic partner with English lessons. Eventually, you’ll want to meet in person, and Ukraine Brides Agency is experienced in helping its clients make the trip. “We have an in-house travel agency that arranges all your travel, accommodations, and meetings, including 24-hour support,” Michael said. As an IATA registered travel agency, Ukraine Brides Agency can handle everything from flights to interpreters to romantic excursions. Ukraine Brides Agency has been successful in bringing together many couples who are as in love as Nadezhda and Blake. Another happy couple, Will and Olga, even invited the Ukraine Brides Agency team and shared their wedding experience with the world. Many other couples are featured in the site’s testimonials section, where some success stories even include videos of proposals and weddings. With so many successes, Michael said Ukraine Brides Agency will continue to care for its clients with the same care it always has. The company will also continue developing features that help them find the long-term relationships they’ve dreamed of their entire lives. As a special offer for readers of DatingAdvice.com, Ukraine Brides agency will be hosting a free speed dating event Oct. 11. You’ll be able to chat via text, voice, or video with anyone on the site for free. Click here to register for the event and to create your account at no cost.